How Much Does It Cost To Have A Baby in 2017 in California? Covered California applicants commonly wonder how much it will cost to have a baby with insurance. This is a very good question when you are choosing which plan will be your best option on the California Health Insurance Exchange. Did you know that Covered California has provided a Cost Scenario Worksheet for Pregnancy? 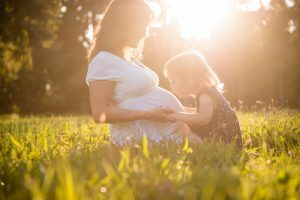 It is a very helpful tool that can help you get a general idea of expected costs for Pregnancy and compares these costs across the four plan levels they offer. You can also see how much your pregnancy would cost you without any health insurance. Please Note: For a more detailed breakdown of the above costs, view Covered California’s Cost Scenario – Pregnancy worksheet. Average costs come from https://www.healthcarebluebook.com and are estimates only for a pregnancy without complications. Actual health care services for your pregnancy can be higher or lower based on variables such as your location, your providers, and your pregnancy. You will also want to factor in the premium costs of the plan that you choose. You can get a free quote to see if you qualify for a Tax Credit to reduce your monthly health insurance bill through Covered CA or call one of our agents for assistance at 877-752-4737. Be aware that most people must apply for health insurance during Open Enrollment each year in the fall, so plan ahead to enroll before your pregnancy. This is also the time to make changes to your current plan if you are already on a health plan. Pregnant women may qualify for Medi-Cal or the MCAP program based on income and family size. Families enrolling on Covered CA can split plans putting the future expectant mother on a no deductible plan while keeping the rest of the family on a Bronze or Silver plan to lower their monthly bill.